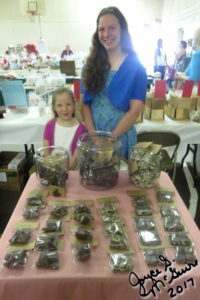 This weekend we were vendors for Ruth and Friends tea (they were raising money for Soup for Success). I made candy! I had caramels, toffee and mint bark. 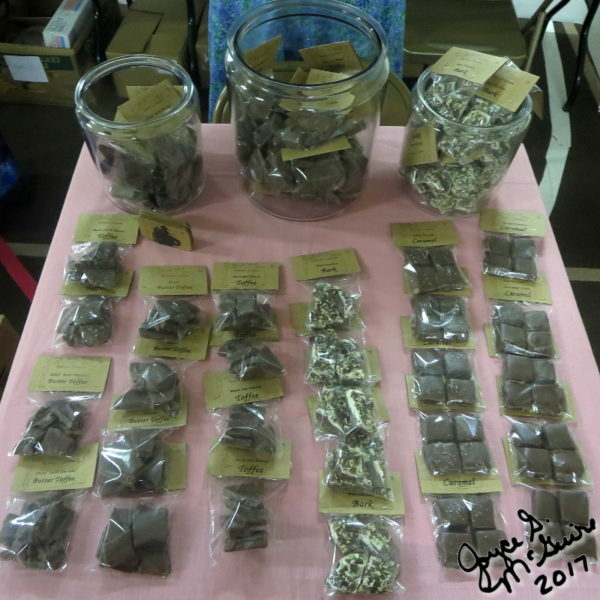 I do not know if having samples would have helped any, there were so many other sweets there for the tea. But next time, I will try to have some. I had fun! I learned to interact with people better. Maybe I can do this again one day, we will see. You worked really hard on this…I’m proud of you. Your candy is so delicious! Thank you Auntie Angie! Happy Anniversary!